Who doesn’t know this: You visit a fair and leave with a bag full of promotional products. Children are attracted to stands with sweets and games, and adults are just as susceptible to gifts and promotional items. This shows how important advertising material is to differentiate from the competition and gain new customers – not only at fairs and large events. 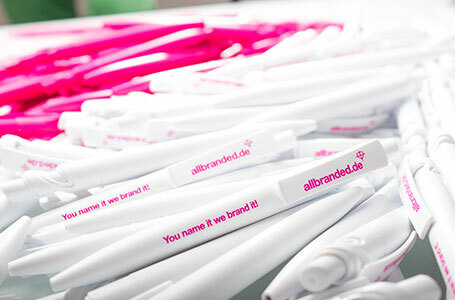 allbranded offers a large range of promotional giveaways that can be individually designed. But how are such custom promotional items used the right way, and how practical are they? 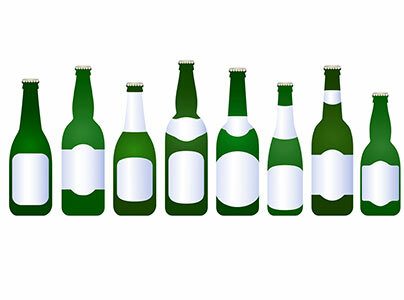 Leave a lasting impression in your audience with effective promotional drinks. Printed with your logo, these are real eye-catchers with young and old at work or at home. At fairs, you are often surrounded by other companies and possible competitors. This makes it even more important to stand out at such large events and to not get lost in the crowd. Unique promotional items increase your chances to raise the interest of new customers and engage them in conversations. Use the opportunity to distribute sunglasses in the Summer, and giveaway hand warmers in the Winter – such products have a valuable practical use and your potential customers will appreciate them. You can also win children’s hearts over with original promotional giveaways. Make them happy with individualised toys that carry their name. At home, parents and children alike will constantly be reminded of your logo and company. If you want to invest a bit more, a popcorn wagon with your logo is a great opportunity to attract the whole family. This is how you make sure to be remembered for a long time! You should use your marketing efforts not only on new customers. Existing customers appreciate gifts just as much and need to be reminded of your company once in a while. If a customer uses one of your gifts in public, they generate unconscious promotion for you. Therefore, it makes sense to distribute products that have a high benefit in their daily life: Phone cases, caps or bags are ideal promotional items that target a broad audience. It is also recommendable to equip employees with advertising means: corporate wear, messenger bags or USB sticks. With such products, you take the opportunity to reach a large audience with little effort. It is raining outside and your customer does not have an umbrella at hand? Don’t let them stand in the rain and give them an umbrella with your logo – you will certainly create a positive memory. With allbranded, you can choose from a large selection of customisable products. Large events are a great opportunity to promote your business. Tailor your promotional gifts to the needs of the visitors. For instance, pens are always handy at festivals and concerts to exchange numbers or get an autograph. If these events are outdoors, visitors will highly appreciate a rain coat and unconsciously run promotion for you. Of course, promotional items do not always have to be gifts. Furniture with your logo at an event is another great opportunity. For instance, allbranded offers standing tables with advertising space. Of course, the budget always plays a major role: at large events with many people, it is recommendable to use cheaper items and distribute them in larger quantities. More expensive products should be kept for important customers. In general, promotional items are essential – no matter if cheap or expensive, all of them have their specific application. The goal is to leave a positive impression with the recipient and increase the level of recognition of the company when the customer uses the products, shares them or talks about them. This for of advertising is uncomplicated and creates a positive promotional effect. Compared to other media like radio or internet, promotional products have the advantage to be everyday objects and the user won’t be bothered by being confronted with them too often. No matter if cheap smaller items for fairs, expensive presents for special customers or promotional items that can be used over and over again: allbranded offer a large product range for you to select the perfect fit. Design individual products and leave your customers with a positive impression. The allbranded range includes classics like lighters, calendars and pens as well as textile products, bags, groceries, sports and wellness products and a lot more. Promote your company with our high-quality, creative and useful advertising items.